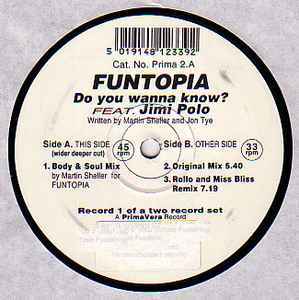 Funtopia ‎– Do You Wanna Know? A and C sides play at 45 RPM. B and D sides play at 33 ⅓ RPM.